- Place the pastry on baking paper on an oven tray. - Peel and thinly slice the apples and plums and place them on the pastry in your own way. - Cut the butter in small pieces that you will put on the fruits and sprinkle with the sugar. - Put the tart in the oven (Th 6/7) for approximately 25 minutes. - Half way through cooking time take the tart out of the oven and sprinkle with the caramelised juice from the sides. - At the end of cooling time, the tart must be a bit caramelised. Tip: This tart goes very well with Vanilla ice cream. - Pre heat the oven 180◦C (Th 6). - Make slits in the pork joint and push the garlic cloves into them Place it in an oven dish. - Peel, wash, cut the potatoes in half and place them around the joint. Do the same with the plums, removing the stone. - Add the sultanas, honey, salt/pepper and a nut of butter on the roast. - Prepare the chicken stock and pour it over the joint. - Place in the oven for 1 hour. - Turn the roast over half way through cooking time. 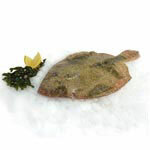 - Place the skate wings in an oven dish and cover with the white wine, salt, pepper, the thinly sliced onion and the chopped herbs. - Cook it in the over (th5-6 or 200◦C) for 15mn, then add the cream and put the dish back for 5minutes. You can serve it with Bulgur (wheat), quinoa or even rice with a bit of lime. - Pre-heat the oven to 220C/Gas 7. 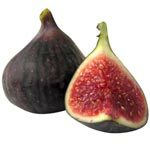 - Make a criss-cross on the top of the figs, gently press open, but leave the fig whole. - Place some cheese inside the fig and the wrap with the Ham. - Place on a baking tray and bake in the oven for five to six minutes, or until the ham is crispy and the cheese has melted. Serve on top of a pile of mixed salad leaves.